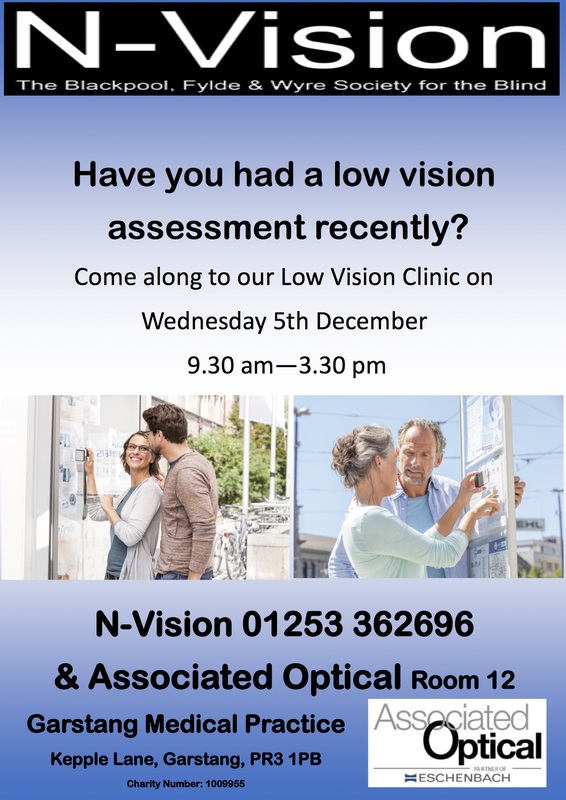 We are holding a Low Vision Clinic in Garstang Medical Practice on Wednesday 5th December. Stephanie Beasley, Brian Casey and Nick Hamlett from Associated Optical will be conducting low vision assessments and providing general low vision advice/support. Nick is also bringing a sample of the electronic aids which Associated Optical sell. This is the first of many events we will be holding across GP Practices in Blackpool, Fylde and Wyre.